Kingdom Hearts Birth By Sleep Flood Unversed Plushie releasing September 26! While it seems like it was forever ago, back in May Square Enix General Manager of the Merchandising Division showed off an image of a Flood Unversed plushie sample on his Twitter. 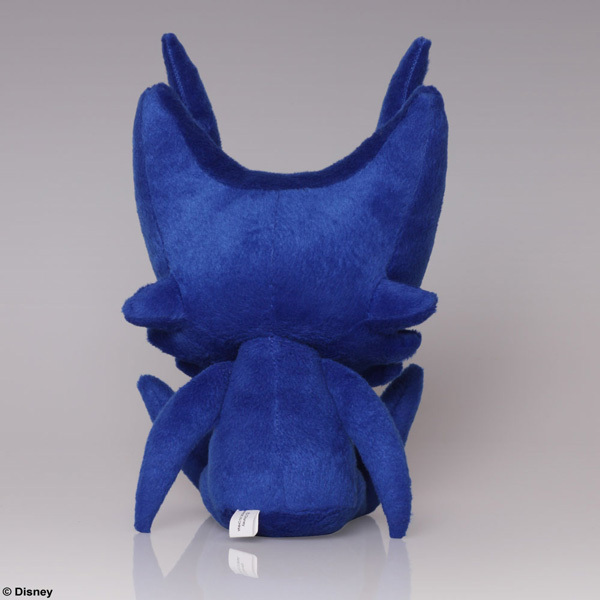 Many people wondered when we may finally see the plush toy sold since it remained the last of the three plushies designed by Series Director Tetsuya Nomura that had not yet seen a release. We didn't have to wait long! Three months later, this adorable Flood Unversed from Kingdom Hearts Birth By Sleep is finally on-sale for 4940 Yen (about $40 USD) and will release September 26th 2015! why u no license out to disney to be shipped? (i doubt that's how it works but the pain is still there). Lol Square Enix brings over their products on their own. They didn't bring over the Dusk plush, sadly, but they brought over the Shadow and Meow Wow. It would be nice if they could manufacture thousands more and have them in Disney Stores, though. Honestly, I'd be happy if SE would manufacture more in general and sell them on their NA/EU stores because once they sold out of them they never really made more. I'm sure there are probably some in ARTNIA but still. Prayer circle because let's all remember the Dusk plush and how it never saw an American amazon listing. I'm ordering this one no matter what though. I lament not figuring out the Dusk wasn't coming here sooner because now importing it is roughly $60. I want it. I want to hug that negative, fledgling emotion. I never realized this, but you actually do hug an manifestation of negative emotions. That`s gotta be healthy. Really cool that these are coming. It is always nice to get more KH merchandise. It's really cute, but I was never much of an Unversed fan. Too bad the Dusk didn't come over. Did, did you just quote yourself? Well I'd love to get my hands on one of these. After getting the Shadow plush in the 2.5 CE, I feel it only natural to keep the collection going. Though I feel like the Shadows from the CE and sold separately are different in some way, I may need to buy two now to keep that one pristine. I was just thinking the same thing. 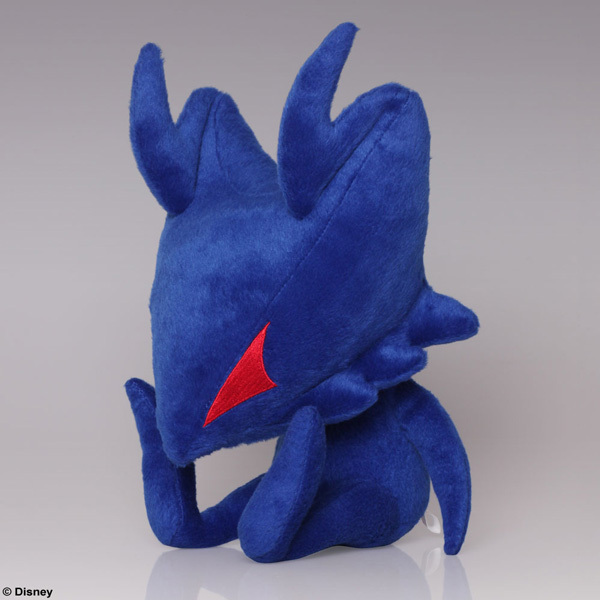 If I get this Flood plushie, I'll want the Dusk plushie to complete the trio (not getting the Dream Eater), but then if I have the Dusk and the Flood, I'll want to take the Shadow plushie out of the box to put it with the other two, but since it's a collector's edition item, I won't want it to get mucked up with dust and stuff. I wasn't sure how they were going to pull off the antennae / antlers, but they did a good job. So CDJapan has the plush for preorder! If only. I missed out on the last two. Meh it looks okay I guess. 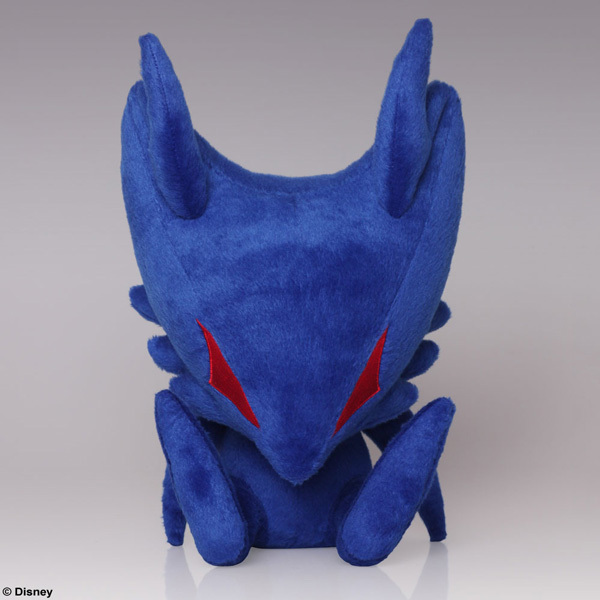 I like the shadow hearless plushy better personally. What will be interesting is finding out if there will be some sort of Play Arts Kai figure with KH3 like in a special edition or something like that. I'd like to see a better looking plushy or perhaps one that isn't too pricey...then again their figures aren't exactly cheap hahaha!